Lewis Morris Rutherford was born on November 25, 1816 in Morrisania, New York. He was named for his great-grandfather, Lewis Morris, one of the signers of the American Declaration of Independence. He began attending Williams College as a sophomore, at age 15. While an undergrad he studied natural sciences, including chemistry and finding pieces of a telescope in a storage closet, he manufactured the missing pieces and put it back together. After graduating in 1834 he studied law and passed the bar in 1837. He practiced law until 1849, when he built an observatory on the lawn of his house, which was called the finest private observatory in the country. Rutherford used his 11 and 1/4 inch telescope to take pictures of the moon, the planets and stars. Then using a diffraction grating of his own manufacture he began taking spectra of planets and stars. In 1863 he published a paper which was the first attempt to classify stars according to their spectra, dividing stars into three categories. Today, most stars are classified using the system developed by Annie Jump Cannon that classifies stars by their color. In order of decreasing surface temperature, O are blue stars, B white/blue stars, A white stars, F yellow/white stars, G yellow stars, K orange stars, and M red stars. Rutherford served as an trustee of Columbia University from from 1858 to 1884. He was an active participant in the International Meridian Conference which established the prime meridian as the line of longitude that runs through Greenwich, England. 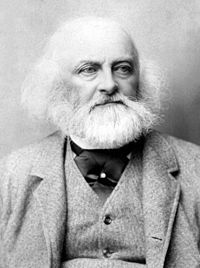 In 1867 he served as president of the American Photographical Society. He was an associate of the Royal Astronomical Society and a member of the National Academy of Sciences since its founding in 1863. In his later years he was in delicate health and he died from the complications of a cold he contracted while traveling to his winter residence in Florida on May 30, 1892.